KJNP is located just outside of North Pole, Alaska. The historic buildings are made with log construction and house the radio and television studios. The staff also line on log cabins on the grounds of KJNP surrounding the station building. 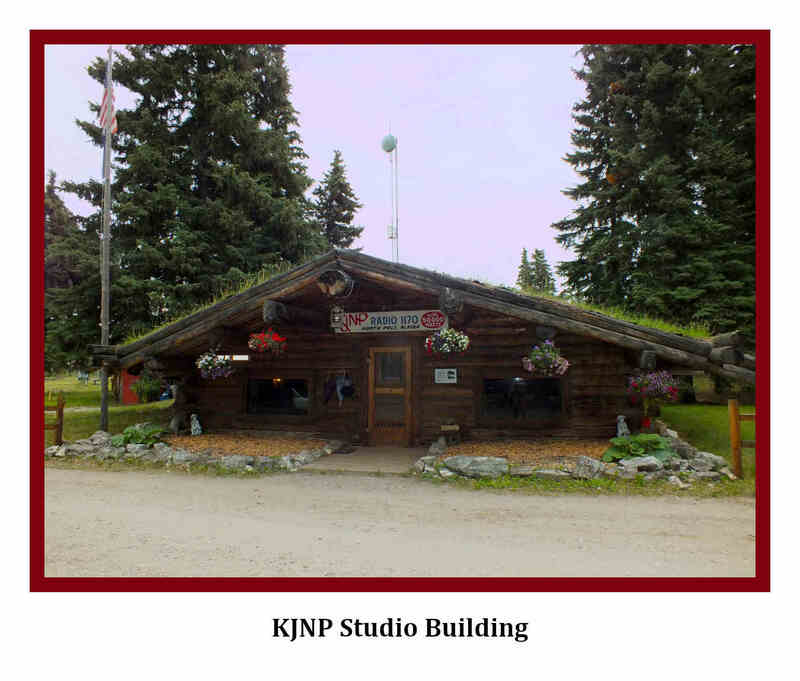 KJNP was founded by Don and Gen Nelson in 1967 as a way of bringing the gospel to Alaska. On October 11, 2018 we started broadcasting with the new tower, this is the 51st anniversary of being on the air. Trapline Chatter is a daily program that enables family, friends, and acquaintances to contact people that have no other means of communication. You can find out what information we need to broadcast these messages here. We still need to receive 129,350.00 to cover the cost of replacing the tower. If you would like to donate to the tower cost or make an another donation you can contact us regarding how to donate and receive a tax deductible receipt.